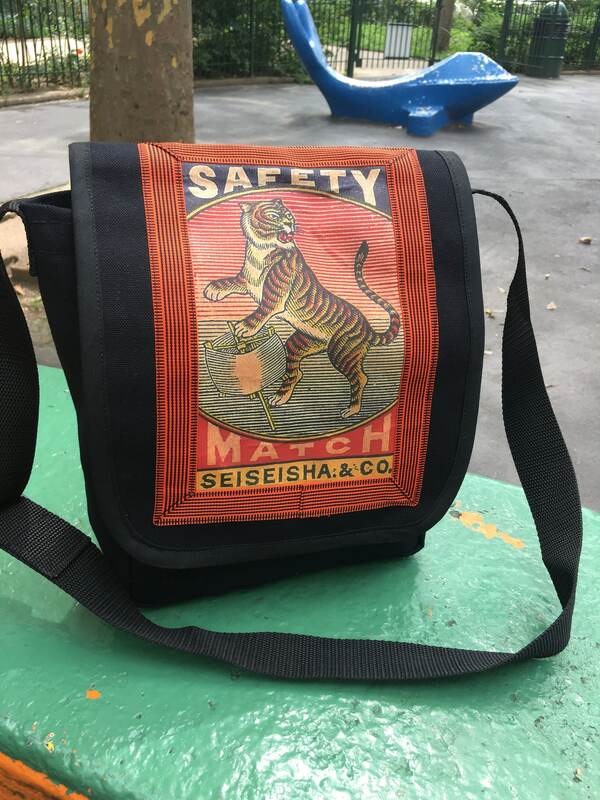 Heavy duty cotton duck messenger bag with a ribbon trimmed cotton image applique. 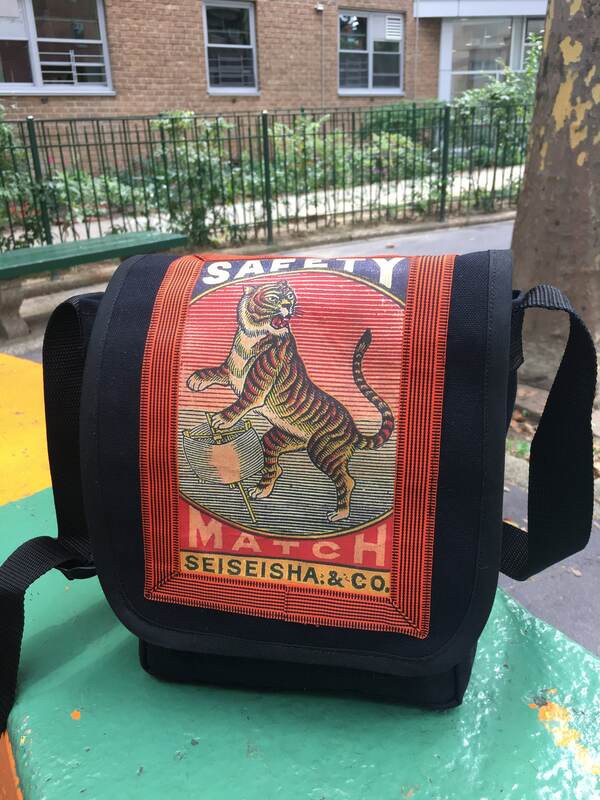 The cool tiger image is from a circa 1920's safety matchbook design from Japan. 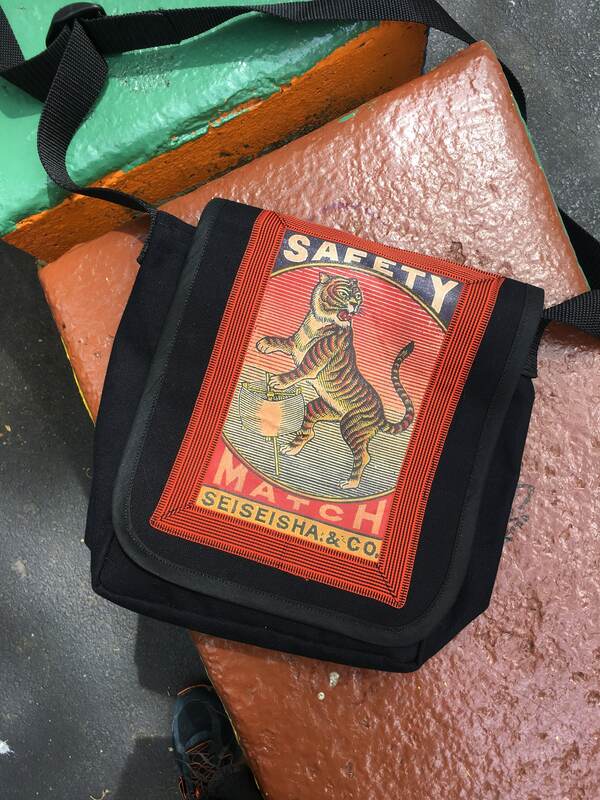 This bag is perfect for when you want to travel light,.large enough to carry your lunch, camera, and small books. 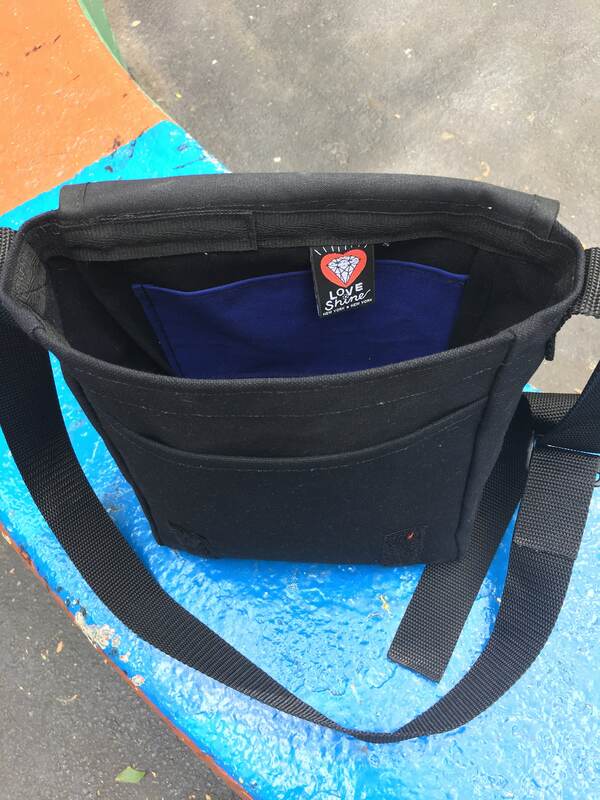 This bag has an interior pocket and a larger exterior pocket under the flap. The Velcro closure keeps the flap secured to the body of the bag and your belongings safe. The adjustable polypro webbing strap allows you to wear your bag over your shoulder, or across the body making this the perfect bag for biking, hiking or any daily activity.